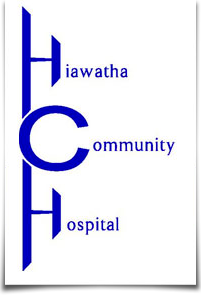 The Hiawatha Community Hospital Infusion Clinic Staff and Physicians welcome you as a patient, and as a family member of a patient, to provide you with the care and education needed to fulfill your medical needs. The Infusion Clinic provides the community with outpatient services such as antibiotics, IV fluids, medication injections and chemotherapy. Each patient is assigned their own private room, making it more personal for each patient. All of the family practice physicians here at HCH are able to work with outside physicians in the treatment and care of any of the above services needed, in particular, chemotherapy. The clinic is staffed with Emergency Department (ED) Registered Nurses who specialize in emergency room care as well as oncology treatment, having attended chemotherapy certification courses through the Oncology Nurses Society. All of the ED/Infusion Clinic Registered Nurses have been certified in Advanced Cardiac Life Support. Our staff Registered Pharmacist prepares chemotherapy on site for each patient. Our friendly and knowledgeable staff would like to invite you to make the HCH Infusion Clinic your choice for comfort, care and convenience when choosing your treatment. Feel free to contact us for any questions you or your family members may have regarding our Infusion Clinic.